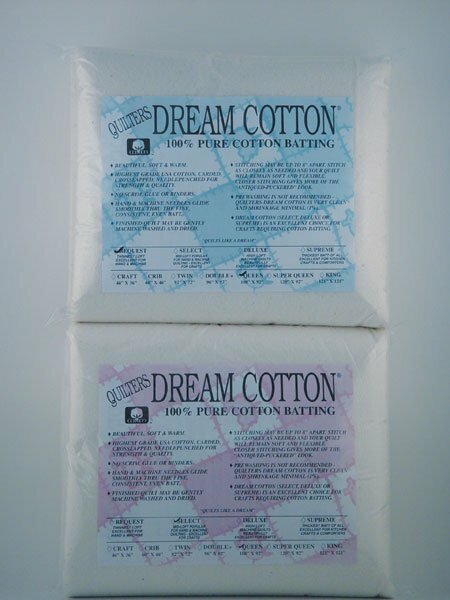 Quilters Dream Cotton is 100% Pure Cotton Batting. We start with the finest USA natural and environmentally friendly cotton and specially processed Dream Cotton so that you can quilt up to 8" apart. No prewashing necessary! 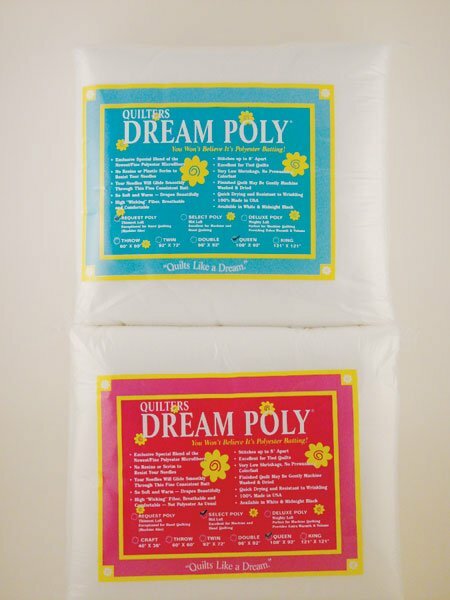 Quilters Dream Poly uses our exclusive blend of the new fine microfibers. Dream Poly has exceptional drape, breathability and comfort surpassing all other polyester battings. Quilts beautifully - you will feel the difference!